The Brewood Cycle Challenge began in 2010 in the picturesque village of Brewood in South Staffordshire. The event was conceived by a group of enthusiastic weekend cyclists as a possible fundraising opportunity to benefit the 2nd Brewood Scout Group (charity number 518527) headquarters building fund (see About). In its first year the event attracted a modest 112 cyclists who rode over three distances; 16K, 50K and 100K routes. 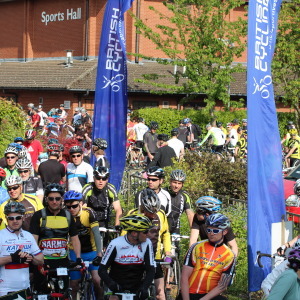 The number of riders increased to 350 in 2011 and, with the 16K route being removed from the event the following year, some 386 riders took part over the 50K and 100K routes in 2012. For the initial three years the event was a true “challenge” where riders rode unmarked routes by navigating their way by using turn-by-turn route cards. 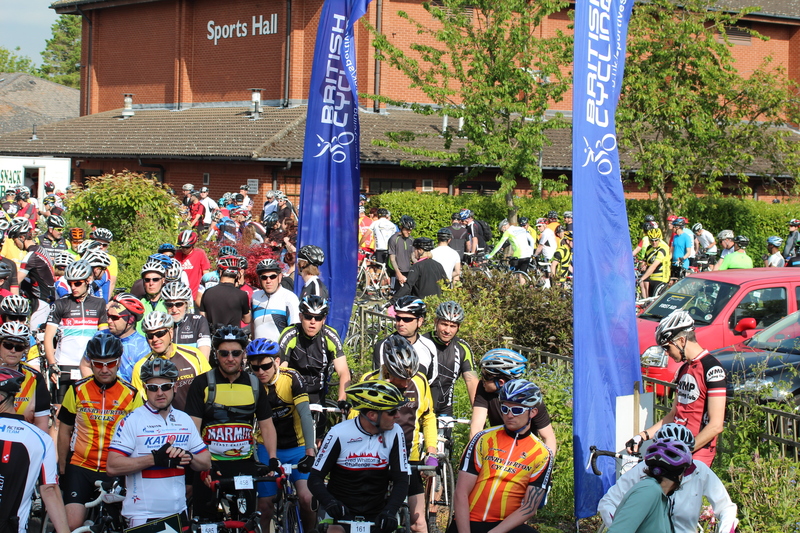 In 2013, the event became a British Cycling Registered Sportive and the two routes became fully signposted. The numbers increased again and over 600 riders took part with the event generating more funds for the charity than had been raised before. This success continued with the 2014 event. The maximum number of entrants was increased to 750 riders but these places sold out with nearly 3 weeks to go! The day itself was marred by rain, which caused some routing and puncture issues, however the event was still a great success with over 550 intrepid riders turning-up on the day despite heavy rain, thunder and lightening before the start. The riders were justly rewarded, after a time, with scenic, if somewhat lumpy, routes with blue skies and sunshine by the end of the day. 2015 was, unfortunately, another wet day – although warm. Numbers were lower than anticipated, due to clashes with other events on the same weekend, but 710 riders entered although only 480 riders arrived to take part. Despite the rain, the feedback was that everyone who took part enjoyed the new routes around Lilleshall and the Wrekin and the plentiful supply of cakes. as ever, and were looking forward to a dry 2016. The 7th running of the event in 2016 broke all records. We had more than ever enter during the early-bird pricing period and then we teamed up with Bostin’ Ride, a local sportive organiser, to cross-promote our events and try to maximise rider numbers and, accordingly, funds into the charity. This initiative lead to us receiving just shy of 900 online entries when the online system closed – a substantial increase on previous years! The weather was dry (hooray!) and so nearly all the entered riders arrived in the morning to be parked and sign-on. The event HQ and car parks were busy but, as ever, the volunteers managed to keep everyone and everything moving and provided a record number of hot drinks and biscuits at registration. The routes were slightly longer than normal, at 120K and 60K, and headed north but both were equally enjoyed by our riders, as was the newly designed finishers medal. As ever the atmosphere was fun and friendly throughout and the sun eventually came out in time for most riders to return to the HQ, enjoy their hot food and listen to the excellent musical duo, New Spirit. The 2017 event was a couple of weeks later than normal and saw a small dip in rider numbers with 740 registering online but 680 signing in on the day. The day was blessed by good weather and the two new routes (100K and 60K) took riders out over Cannock Chase and onwards North East towards Blithfield Reservoir and beyond, for the longer riders. The routes had a couple of last minute changes, due to road surface dressing and emergency roadworks, but appeared to be faster than some of our previous routes with riders arriving back earlier than normal. They still came back to listen to wonderful live music and a tasty baked potato, for those who had requested one. The date for the 2018 event was announced late and so rider numbers were lower at around 550. The routes chosen had last been used in 2014 when the weather did its utmost to ruin the event. The 2018 event, however, was the complete reverse with sunny clear skies and temperatures into the low 30’s! The challenging long route, following the River Severn, displayed some spectacular views over looking Shropshire and Staffordshire but only after some hot climbing. The event was another great success with many great comments from entrants. 2019 brings the 10th anniversary of the event, and all proceeds will be going directly to funding the activities of the 2nd Brewood Scout Group, and hopefully it will be another successful day!